Looking for a gift for a crocheter, knitter or other haberdasher you know? Or something for yourself? 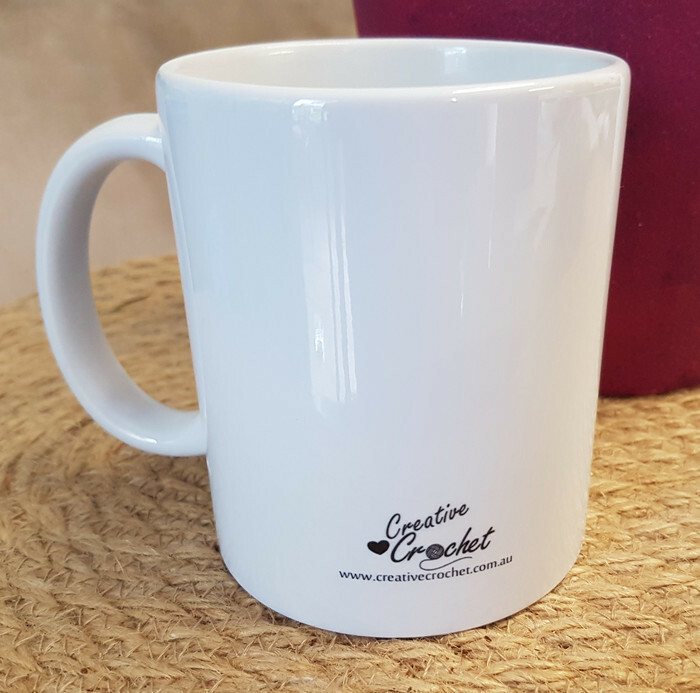 This sturdy white ceramic mug has a large handle for easy drinking and depicts the crochet phrase "I turn string into pretty things! 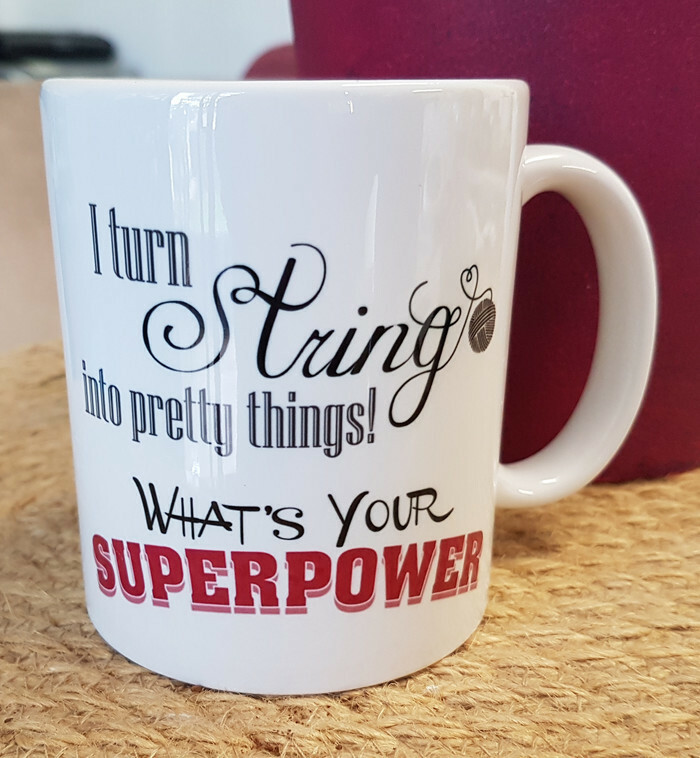 What's Your Superpower" The phrase appears on one side of the mug with our logo on the other. Our mugs are personally designed by Creative Crochet and are microwave and dishwasher safe. The mugs are approximately 9cm tall with a base of 8cm in width.